Lost City: Bill's Gay Nineties Sold? Late last year, this site and others reported that the fate of Bill's Gay Nineties was in limbo, that the old former speakeasy and beloved Midtown bar had declared bankrupcy and was in dispute with its landlord, and that restauranteur John DeLucie (Crown, The Lion) was eyeing the spot. I am sad to report (you might know this), but it is now confirmed that the building housing Bill's has been sold and they intend to remodel the place. The owner is looking for places to move, but we all know how that works out. It doesn't. I am told the DeLucie plans to respect the space and its classic interior. Not that that makes the shift any easier to take. The final closing may not happen for weeks or months, said the reader. 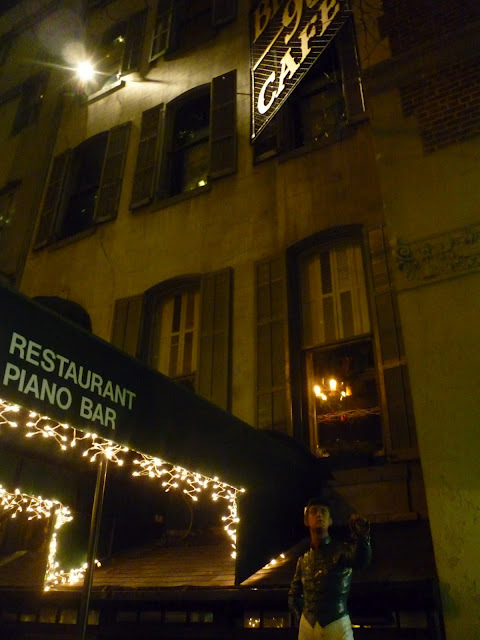 In the meantime, I encourage all New Yorkers to enjoy this classic bar and crowd it with life and money every single night. It would be nice if its exit dragged on a year. Apparently, Bill's longtime greeter, Aldo Leone, has been working at the bar for 49 years. He's one year from celebrating a half century at the place. Sigh. I LOVE Bill's. The last time I was there it was a Friday evening and the place was jammed. I'm crushed, beyond saddened. Unless they can move the interior to another location how can it be Bill's? A big part of my enjoyment (although running a distant second to the wonderful folks who work there) is that historic Prohibition interior. Aside from a death in my family this is about the worst news that could greet me this morning. No, I take that back, this IS like a death in my family. 'nuff said. It was beloved ... not by enough people, unfortunately. It would be a different situation if a massive rent increase were the cause of the bar's woes. From what I gather, however, that wasn't the case, instead the bar fell behind on its rent. Plain and simple, it wasn't making enough money to stay in business. My understanding is the bankruptcy declaration was a ploy to delay their closing. I am not a lawyer and don't understand exactly how that would work (perhaps something in their lease? ), but regardless I was assured finance was not an issue. Hence their determination to locate a new spot to house the business. Anyway, Bill's will always be home to me. I don't know a happier place to appreciate timeless New York. I hope somehow this turns out to be false. I hope so, too. But it won't. This is a crying shame. 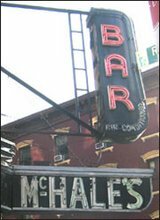 Well, I'll be there this Friday night to have a few cocktails with one of NYC's best old-school bartenders and listen to Rick McDonald tickle the ivories. Lost City Asks "Who Goes to El Sitio?" The Last Working Phone Booths in New York? 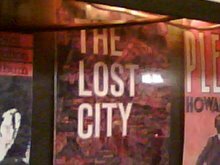 Lost City Asks "Who Goes to Il Tinello?"